Three years ago, Justin Hevey was on the fast track to nowhere. He had just completed what he referred to as a “pretty dismal freshman year” and he was about to enter his sophomore class at Okeechobee High School not far from the shores of the legendary Lake Okeechobee in Florida. Fortunately for Justin, the winds of change and a little well-timed fate intervened when a local law enforcement officer and a few like minded parents decided to start a fishing team at the school. For Justin, it was a turning point in his young life. 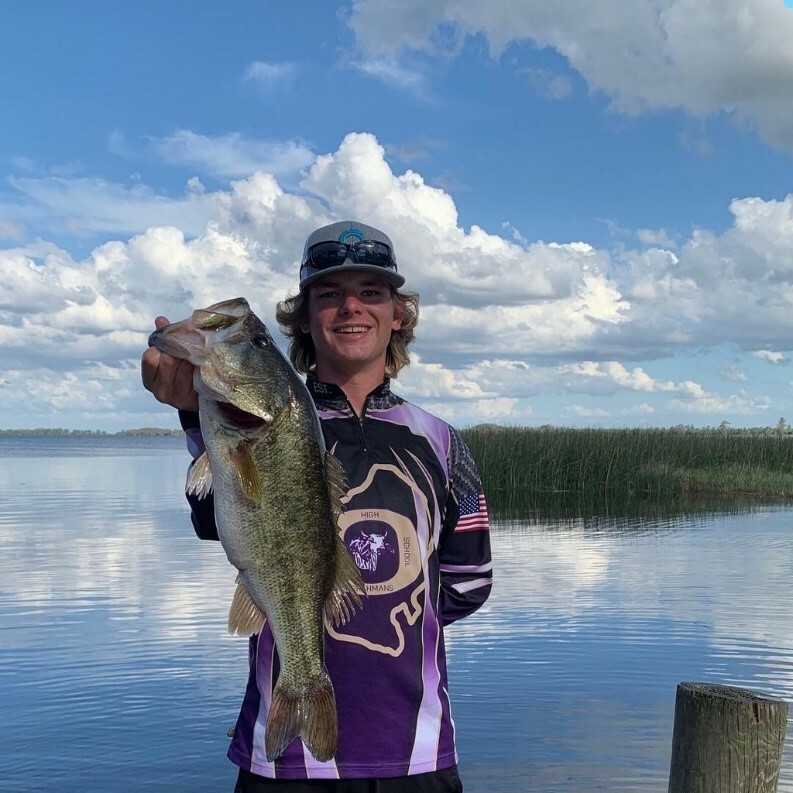 His ability to join the Okeechobee High School fishing team that year was truly the difference between quitting school and eventually graduating this spring with his senior class. Justin’s story is not a new one; it is repeated hundreds of times across the country each year with the emergence of the wildly popular high school fishing. 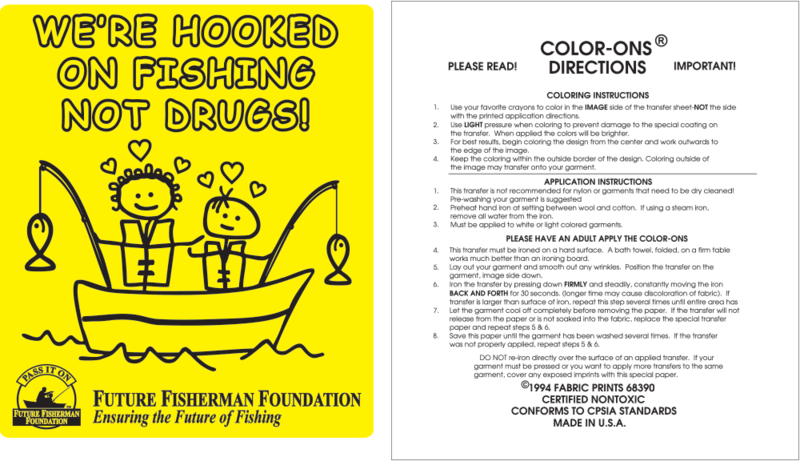 The National High School Fishing movement continues to grow rapidly since it was founded by the Student Anglers Federation (SAF) more than a decade ago and it is filling the void for a lot of students. In Justin’s case, like many others, his situation at home was less than ideal and he found himself on his own more times than not. Fortunately, fishing is a family-oriented sport and his “fishing family” came to the rescue. Team “mom” “Kimberly Wojcieszak also has seen the difference fishing has made at the school of 1,200 students in southern Florida. Principal Dylan Tedders is another big supporter of high-school fishing. He is impressed by the way the program has brought school pride to Okeechobee High School. “The program has given many of our students a sense of purpose and a great deal of pride in representing not only the school but the OHS fishing team,” he said. “If this program helped just one student like Justin, then it is most certainly a win for us and we believe that our program will continually grow each year. 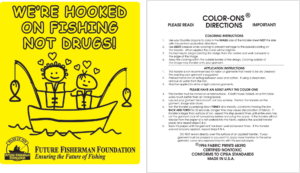 Mark Gintert, the executive director of the Future Fisherman Foundation and the former Bass Federation national youth director, including SAF, has seen many more success stories in high school fishing. “Some say it is just fishing or that the national high school program has no impact beyond those who already fish.” But that’s not the way Gintert sees it. He points to the fact that it’s not unusual to see 100-plus boats—each with an adult volunteer and two high-school anglers—on lakes, rivers and reservoirs across the country on every weekend in the heart of the fishing season. Ten years ago those type of events never happened and if the program changes one students life for the better it is all well worth it. So just how big is the high-school sport? Estimates have this program at around 45,000 active students participating in high school clubs, circuits and regional trails across the nation. That equates to approximately 2,500 high school teams or clubs. Add to that over 22,500 boat captains, 2,000+ team coaches and another 3,000 volunteers to those respective teams and you can add another 27,500 adults who serve this program. Add the students and adult volunteers together and it easily pushes over 72,000 people actively participating in this program annually. Add in the boats that are upgraded or purchased by adult coaches, gas for outboard motors and trip expenditures such as motels and meals, and you can see that high-school fishing has an impact on local economies and the fishing industry as a whole. For Justin Hevey, just as his academic life has improved, so has his fishing ability. Recently Justin and his partner John Pearce won a Florida Southern District Regional event and have qualified for the High School National Championship and World Finals. He feels that he has become a very versatile angler with the ability to fish any type of water but admits that catching a nine-pound largemouth on a frog was one of the highlights of his young career. As for life after the Okeechobee High School team, Justin is looking at both the college fishing opportunities or joining the Coast Guard when he graduates in May. Regardless of his choice, high school fishing and this young man’s determination has paved the way to a better life. The very popular Lew’s High School Grant Program will once again be taking applications for the 2019 grant season starting on Monday January 7th. For the third straight year the Lew’s corporation will strive to put quality rods and reels in the hands of young High School aged anglers across the country through their ever-popular High School Grant Program. The intent of this great program is to foster and motivate the growth of the sport through these four key objectives. 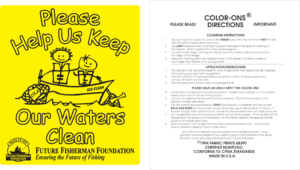 There are three levels of grant awards that are based on the size of the club, club activity, willingness to promote the sport as well as conservation and the Keep America Fishing initiative. 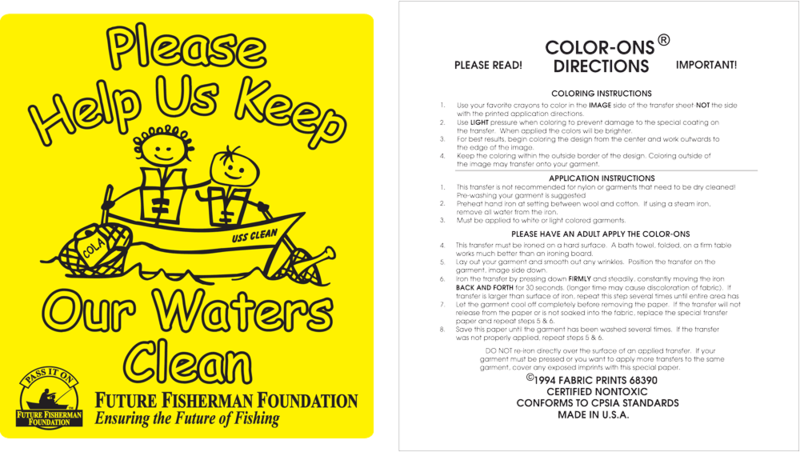 The Program is administered for Lew’s by the Future Fisherman Foundation a 501(C)3 Non-Profit who’s mission is to “Ensure the Future of Fishing”. “We are once again thrilled to partner with the Lew’s/ Strike King team to promote the High School Grant Program” stated F3 Executive Director Mark Gintert. “This program has helped well over 200 High School teams grow their respective clubs as well as the awareness of the benefits of High School Fishing” added Gintert. Interested applicants can apply at either the Lews.com website or the futurefisherman.org site where they can find the Lew’s Grant Program link highlighted in red on the right side of the page. 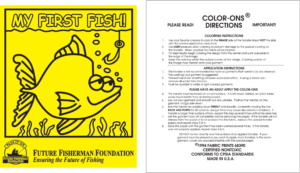 The Future Fisherman Foundation (a 501 (c) 3 Foundation) will offer the Chance to fish with two of the greatest legends of freshwater fishing this year. Interested in a Bass Fishing Trip? 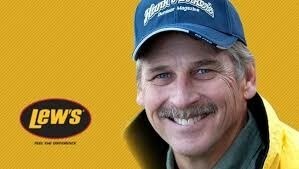 There will be no greater “Dream Trip” then fishing with the Legendary Hank Parker! If your schedule is flexible and you can work around Hanks busy TV and personal appearance schedule this will most definitely be the trip of a lifetime for the winning bidder! 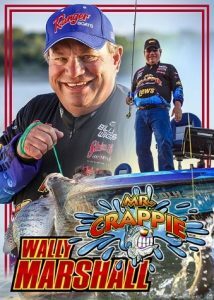 If you’re a Crappie Angler the auction gets even better as the country’s most famous Crappie Angler Wally Marshall is offering “The Ultimate Crappie Trip!” This two-day adventure in the State of Texas includes lodging and meals and promises to be one of the most awesome Crappie Adventures there is! Don’t miss the chance to bid on this one either! Shoppers also have a great opportunity to bid on 25 different Guided Fishing Trip’s, as well as, a very large selection of tackle packages and merchandise. We didn’t think we could do it but this year’s auction looks to be our best ever! “We are thrilled with the lineup that we have for this year’s auction” commented F3 Executive Director Mark Gintert. “Our corporate partners and private donors have provided us with some terrific products that will be here just in time for Christmas and our programs are always in need of the crucial funding that this event provides our foundation” added Gintert. Once again, A huge THANK YOU goes out to all or our donors this year; we couldn’t do it without them. The auction goes live at 8am EST on Sunday November 25th. It will run for seven days and bidding closes December 3, at 8am EST. 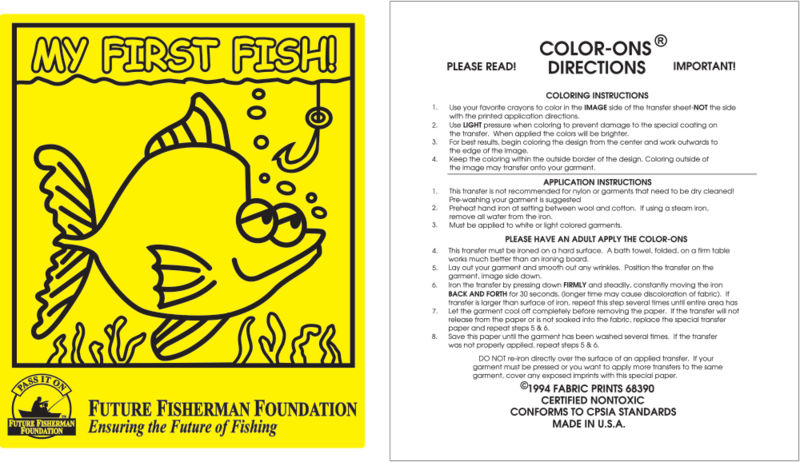 Interested bidders should go to www.futurefisherman.org and click on the auction tab and then click on the eBay link to view the trips and merchandise and place your winning bids! GO TO THE AUCTION HOME PAGE CLICK HERE!